Just five days are now left for the launch of OnePlus 5T, a slight upgrade to this year’s OnePlus 5. Yesterday, we got the images of the review kit that included cases and promotional poster. 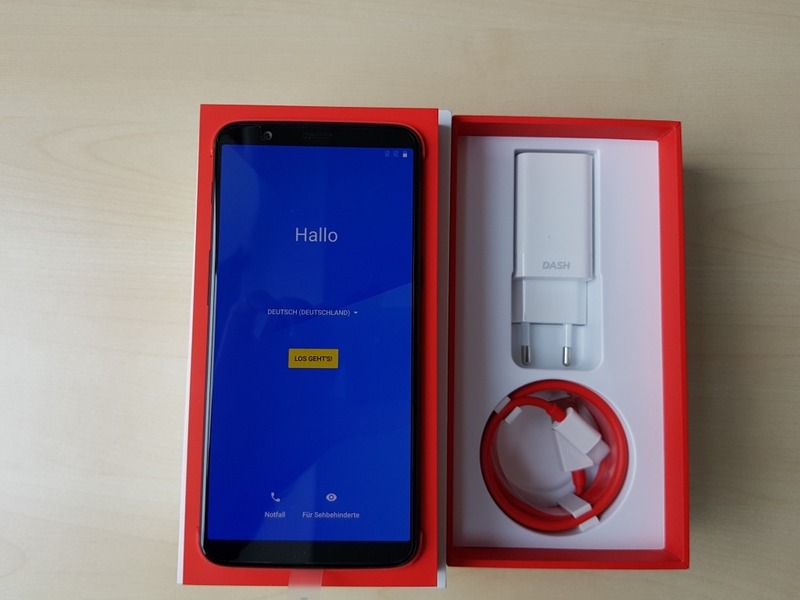 Today, however, we have got the full hands-on images of the phone along with the specifications, so there is nothing left to know about the phone after today’s leak. In this article, let’s talk about the design and the specifications of the phone. 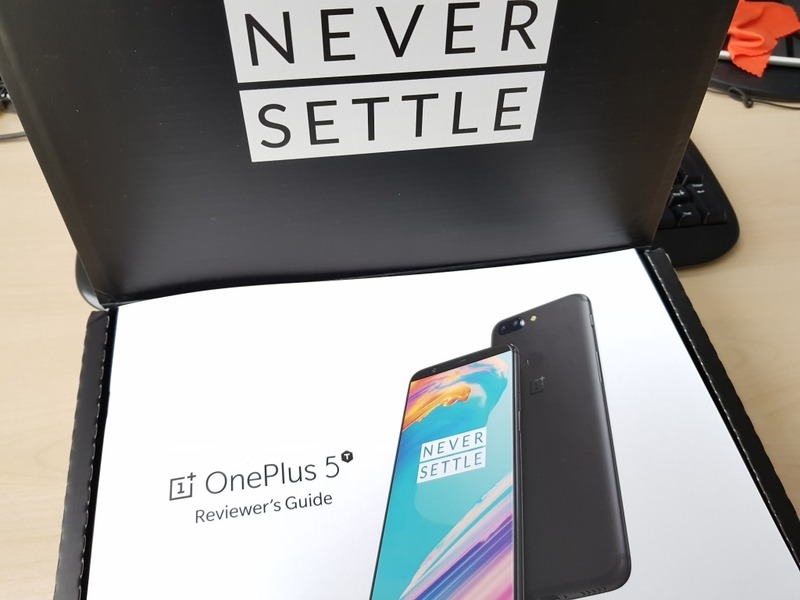 Starting off with the design and box contents, there is nothing different regarding the box contents if you compare it with the box contents of OnePlus 5. 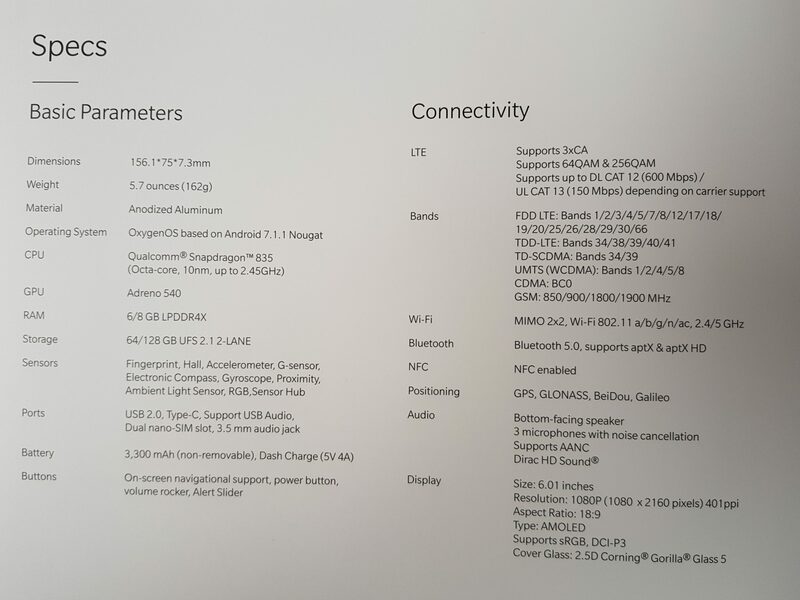 You get the Dash charge adapter, a USB Type-C cable, documentation and the phone on top of all this. 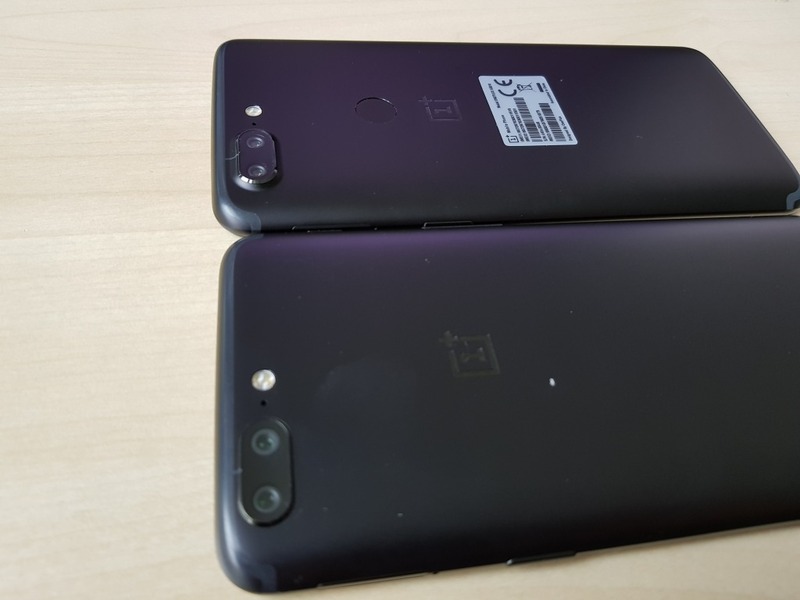 Above image shows that the phone features a larger display in almost the same footprint as that of the OnePlus 5. This is because the OnePlus 5T has an 18:9 display with very fewer side bezels. 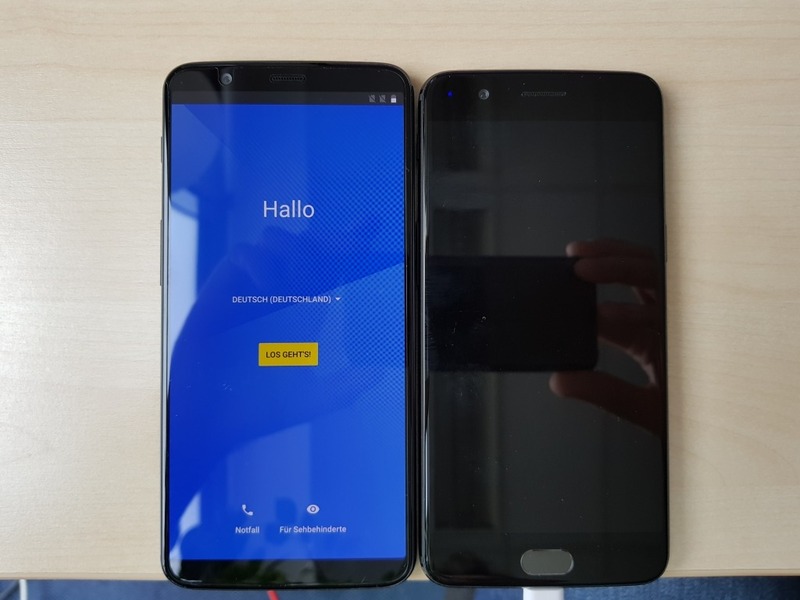 In the above image, you can see the OnePlus 5T placed with the 5T to give an idea of the size. 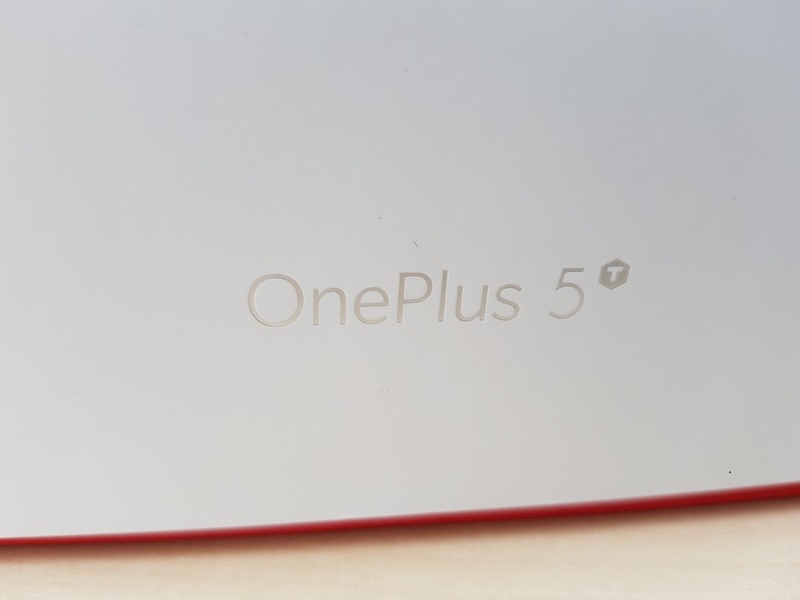 Just like we mentioned in our previous post, the camera bump is now slightly bigger on the 5T, maybe because the camera hardware has been upgraded (though specs suggest the same camera setup as that of OnePlus 5). The circular fingerprint scanner is placed on the rear. Rest of the design is the same including the position of buttons, Antenna Lines, camera setup, etc. Now, you might be thinking about the size of the phone. 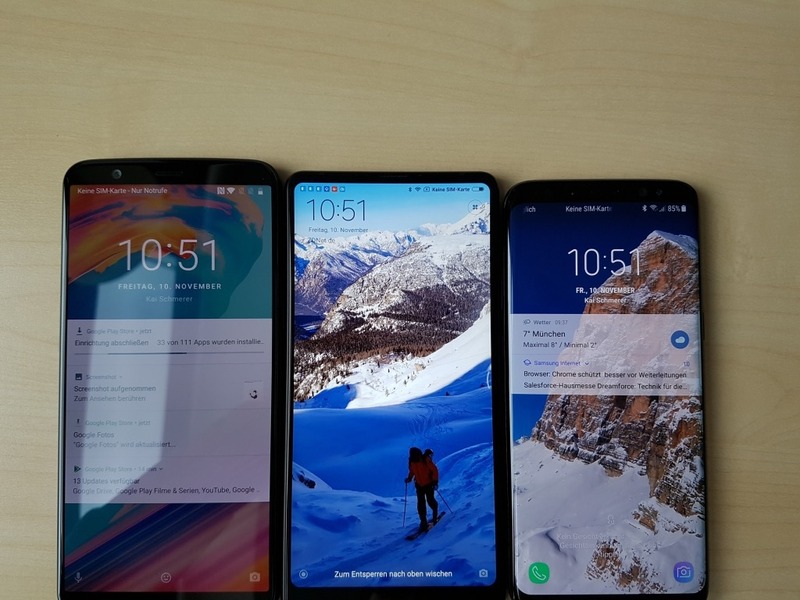 Yes, it is a huge 6-inch display, but still, the phone is of almost the same size as that of the Mi Mix 2 and just a bit larger than the Galaxy S8. So, you get a larger display in the same footprint. Now talking about the specifications, the phone features a 6.01-inch display with Full-HD+ resolution (2160x1080p) and an aspect ratio of 18:9 that we have seen on a lot of phones of this year. Just like all the OnePlus devices, it is an AMOLED panel. The display is protected by Corning Gorilla Glass 5. OnePlus 5T is powered by an octa-core 2.45GHz Snapdragon 835 processor with Adreno 540 GPU. There are two memory options – 6GB RAM + 64GB ROM and 8GB RAM + 128GB ROM. It is weird that OnePlus is keeping the same battery size on the 5T as that on the 5, i.e., 3,300mAh. Android 7.1.1 Nougat runs out of the box with OxygenOS on top. 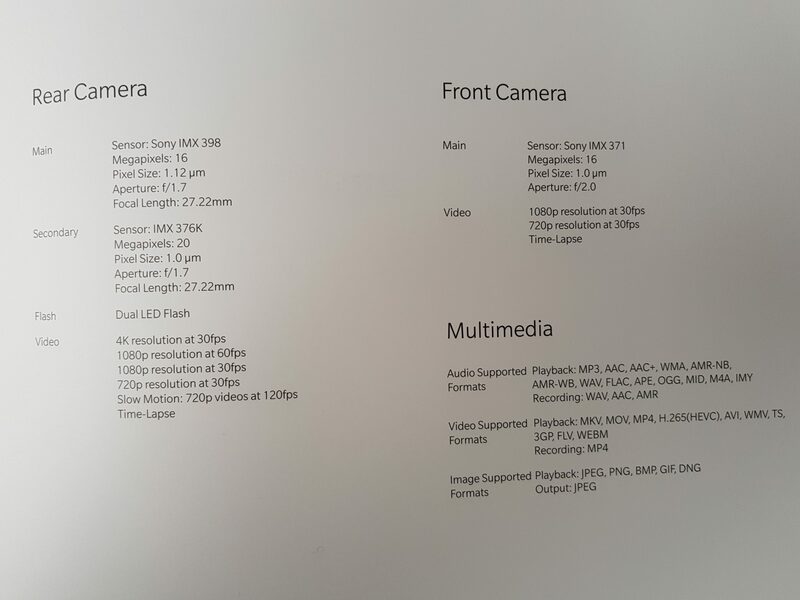 Talking about the cameras, there is a dual rear camera setup with a primary 16MP camera with Sony IMX 398 sensor, f/1.7 aperture, and 27.22mm focal length. The secondary rear camera is of 20MP with Sony IMX 376K with a larger f/1.7 aperture. So, the camera hardware has got an upgrade as the secondary camera of OnePlus 5 has Sony IMX 350 with f/2.6 aperture. The larger aperture and better sensor on the OnePlus 5T will help to get better low light shots. The rear cameras are capable of 4K recording at 30fps, 1080p recording at 60/30fps and slo-mo 720p video recording at 120fps. On the front, there is a 16MP camera with IMX 371 sensor and f/2.0 aperture. 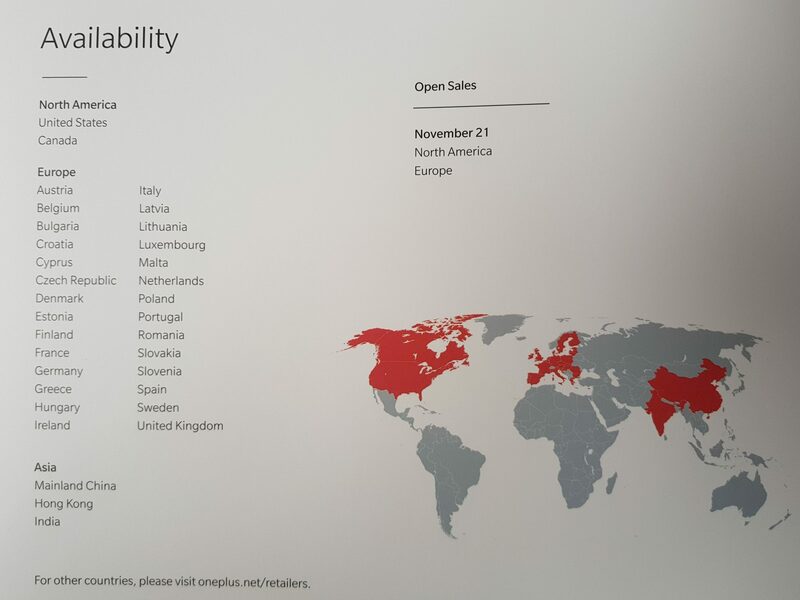 The image above shows the countries where the phone will be available, and the list includes almost all the major markets all around the world. The pricing details are still unknown but looking at the leaks, it seems we are going to know that pretty soon. Stay Tuned.